The definitive guide to transcending our physical capacities and age limits in sport. This is a unique book which challenges our preconceptions of our physical capacities and of the limitations of age. 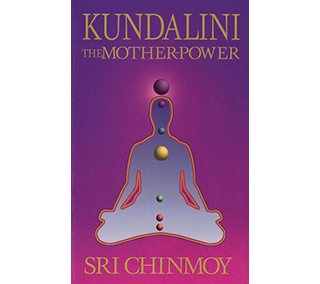 Sri Chinmoy is the world’s foremost authority on the connection between meditation and physical fitness, showing us how anybody can bring the power of meditation and mindfulness into their training in a very practical way. Although today’s world-class athletes may have reached the current physical limits of the human body, the spiritual resources hidden deeper within still remain untapped. 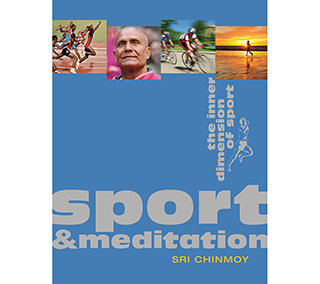 In this long-awaited book, spiritual teacher and athlete Sri Chinmoy reveals the inner dimension of sport – a dimension that everyone can use to enhance his or her physical and mental training. It is this new facet that enables us to achieve peak performance, to get more from exercise and to enjoy robust and lasting health and well-being. Author Sri Chinmoy was a trailblazer in extreme weightlifting and challenged our very concept of impossibility. He was also a marathon, and ultramarathon, runner and exercised voraciously throughout his life, always drawing on his spiritual practice for his outer capacity. Astoundingly, he continued to transcend his own weightlifiting achievements well into his 60s and 70s. This book shares Sri Chinmoy’s insights and offers a new perspective on the connection between sporting performance and mental and spiritual development. With detailed instructions, the author shows how meditation and spirituality can help us tap into our inner capacities and transcend all of our current notions of performance.